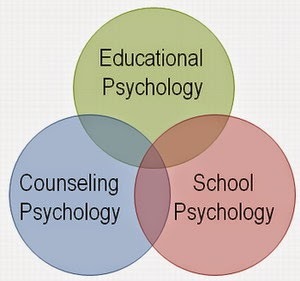 Psychology is a huge topic and conveying the depth and breadth of the subject can be difficult. As a result, a number of different fields of psychology have emerged to deal with specific subtopics within the study of the mind, brain and behavior. The history of psychology as a scholarly study of the mind and behavior dates back to the Ancient Greeks. There is also evidence of psychological thought in ancient Egypt. Psychology was a branch of philosophy until the 1870s, when it developed as an independent scientific discipline in Germany and the United States. Psychology borders on various other fields including physiology, neuroscience, artificial intelligence, sociology, anthropology, as well as philosophy and other components of the humanities. Today, psychology is defined as "the study of behavior and mental processes". Philosophical interest in the mind and behavior dates back to the ancient civilizations of Egypt, Persia, Greece, China, and India. For a condensed overview of the subject see the Timeline of Psychology article. Psychology as a self-conscious field of experimental study began in 1879, when Wilhelm Wundt founded the first laboratory dedicated exclusively to psychological research in Leipzig. Wundt was also the first person to refer to himself as a psychologist and wrote the first textbook on psychology: Principles of Physiological Psychology. Other important early contributors to the field include Hermann Ebbinghaus (a pioneer in the study of memory), William James (the American father of pragmatism), and Ivan Pavlsov (who developed the procedures associated with classical conditioning).